Weird Scenes Inside the Gold M.. 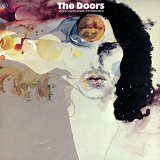 Doors (The) - Weird Scenes Ins.. Product weight is 0.22 lbs. 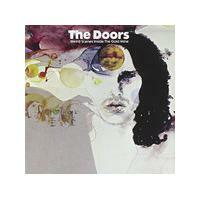 DOORS THE WEIRD SCENES INSIDE THE GOLD MINE The Doors now make their legendary, long out-of-print compilation Weird Scenes Inside The Gold Mine available for the first time as a 2-CD set. 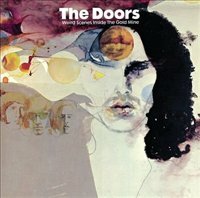 Originally released in 1972, this gold-certified double album was the first compilation to be released after Jim Morrison's death in 1971. The 22 songs that appear on the collection provide a wide-ranging introduction to the music recorded between 1967-71 by the original quartet, John Densmore, Robby Krieger, Ray Manzarek and Jim Morrison. The band's longtime engineer Bruce Botnick remastered the music heard on this reissue, which takes its title from a lyric in "The End. "Mixing familiar cuts and deep tracks from six studio albums, Weird Scenes Inside The Gold Mine touches on everything from hits like "Break On Through" and "Love Her Madly" to unexpected delights like "The Spy" from Morrison Hotel and "Running Blue" from The Soft Parade. Adding yet another dimension to the album's track list is the inclusion of two stellar b-sides: "Who Scared You" which appeared in March 1969 as the flipside to "Wishful Sinful, " and a cover of Willie Dixon's " (You Need Meat) Don t Go No Further" which was paired with the smash "Love Her Madly" in 1971.